March came and went but I didn't let it pass me by without picking up a new March arrival from Fabletics. I knew this outfit would be perfect for me because of how cute the color patter in and how comfortable the material is. I hate leggings that are plastic feeling and are itchy when I start to sweat. I feel very lucky to have found Fabletics as in my opinion, they are the next best thing to Lululemon, but for half the price. I could sleep in my Fabletics! They have all kinds of materials to choose from, but I tend to select outfits that are softer and stretchy. This outfit that I am wearing is the Vita tow piece set from Fabletics which comes with the high waisted power hold legging and the Monique bra. The outfit is super cute and totally spring ready with the gorgeous pastel watercolor pattern. I love the versatility of this outfit. I can wear it for a tough workout and also while laying back with my puppy and catching up on some of my favorite blogs. Here are some photos we took on our family vacation to Rome during the summer of 2017. We decided that we will start a tradition of traveling out of the US every summer. Jerrid and I want our son to be able to experience the world. There is no better learning experience than to travel and explore the world around you first hand. Jerrid and I have been getting the travel itch for some time now, and it was just a matter of making that choice to go! Now we're hooked and have booked our summer trip for 2018 already. We can't wait! Did you know that Fashion Nova jeans will change your life? Well, they will! They're absolute high waisted glory for a fraction of what you would end up paying anywhere else. My entire outfit is from FashionNova.com. I wanted a light wash high waist jean and I decided to top it off with an iridescent sequin crop top which I just can't wait to wear. The shoes are also from FashionNova.com. I've been trying to find the perfect clear chunky heel and I can't say that these are the ones that I have been looking for because my foot still slides around in them and they're just not all that comfortable, but they are super cute. I finally got the urge to throw on some makeup! I've been hauling makeup like crazy so it was a matter of time before I started to play with all of my new goodies. 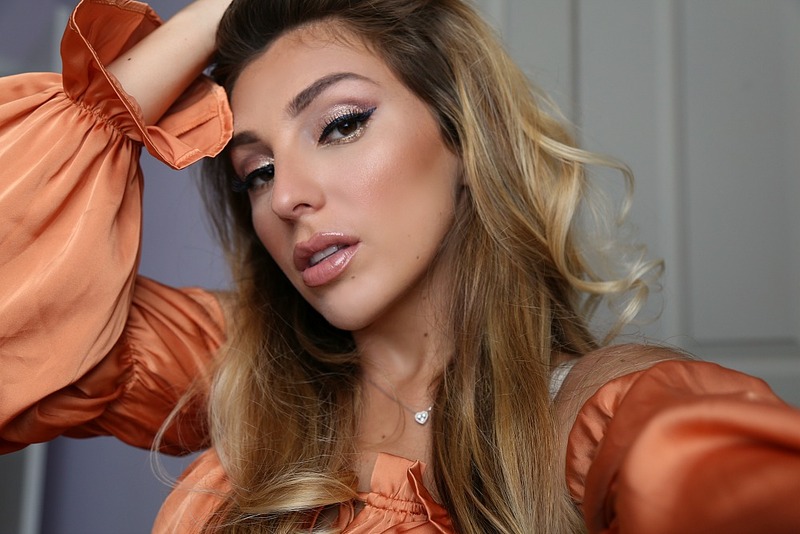 Today I wanted to try out my new Stila Glitter & Glow Liquid Eye Shadows. I only used "Kitten Karma" mixed with colors from another palette to create a cat eye effect along with the Stila glitter shadow used along my inner to middle lid. I recently went on a small online shopping spree! This here is my haul from Too Faced, one of my favorite makeup brands out there. I love the packaging of their products and have been a fan of the quality for years now. When Too Faced drops a new collection or product, I am always on the lookout. I picked up a new eyeshadow palette, a contour kit, lipgloss, glitter eyeliner, and a primer/setting/refreshing spray. 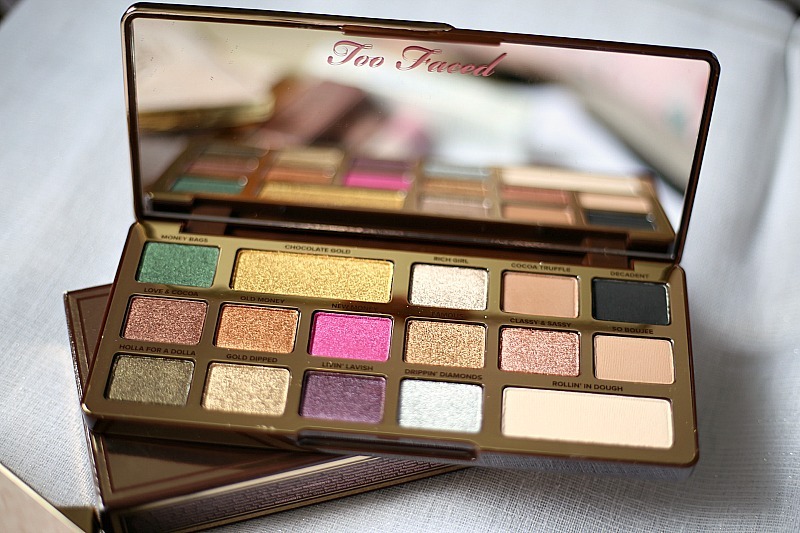 Too Faced Chocolate Gold eyeshadow palette - $49.00 (Can be found at Ultra, Sephora, Macy's, TooFaced.com) - I didn't think I would need the Chocolate Gold eyeshadow palette because I figured that I have so many gold and bronze hued palettes, but this one seemed so different (don't they all). I loved the unique color variations in this palette and I felt like I needed to re-up on some of the colors I may have dupes of since I use them so often. 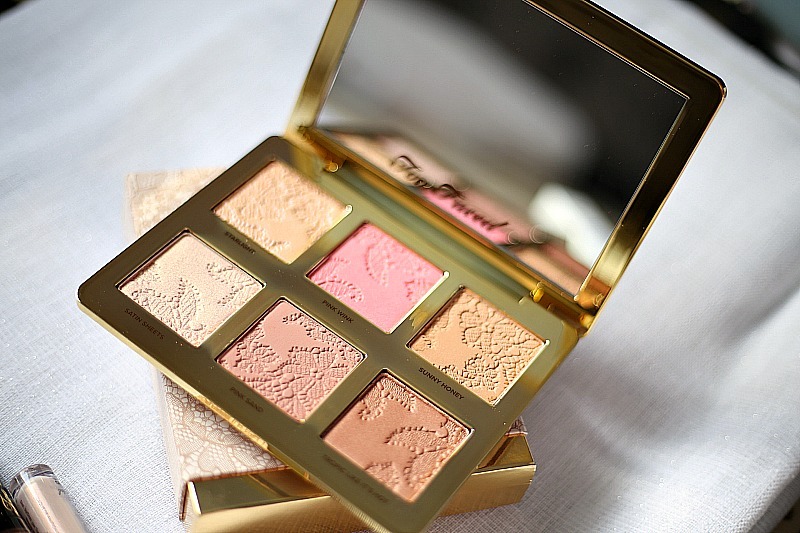 If you don't know about Too Faced, please go to Ulta or Sephora and smell their palettes. They smell amazing! This one smells like hot cocoa, I just want to eat it! I will be doing a look and swatches of this palette in an upcoming post. Too Faced Natural Face Contour Palette - $44.00 - (Can be found at Ulta, Sephora, Macy's, TooFaced.com) - This is another deliciously smelling product. I already knew before even ordering this contour palette that it would smell amazing. I love the colors in this palette and decided that I would need this as a re-up to my current favorite powder contour palette from NYX. This will also com in handy for traveling since it's all that I need in one on-the-go palette. The palette is very sturdy and thick, I love it! 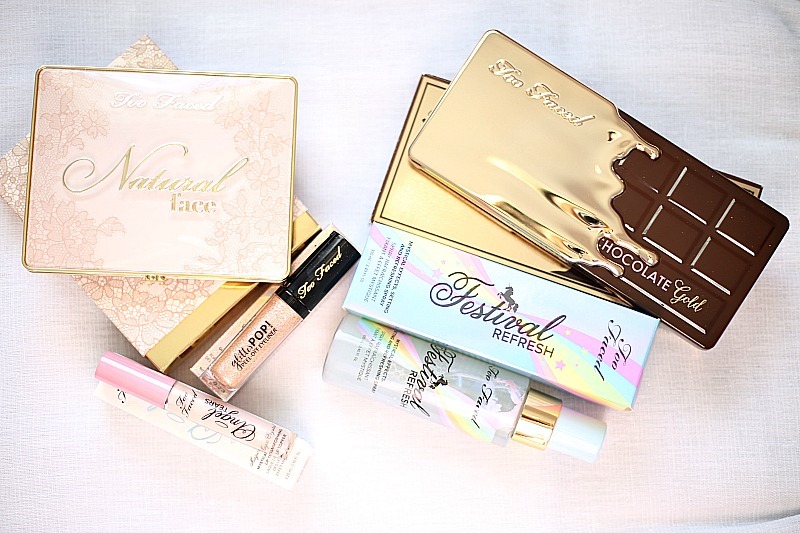 Then again, Too Faced always kills the game with their packaging. 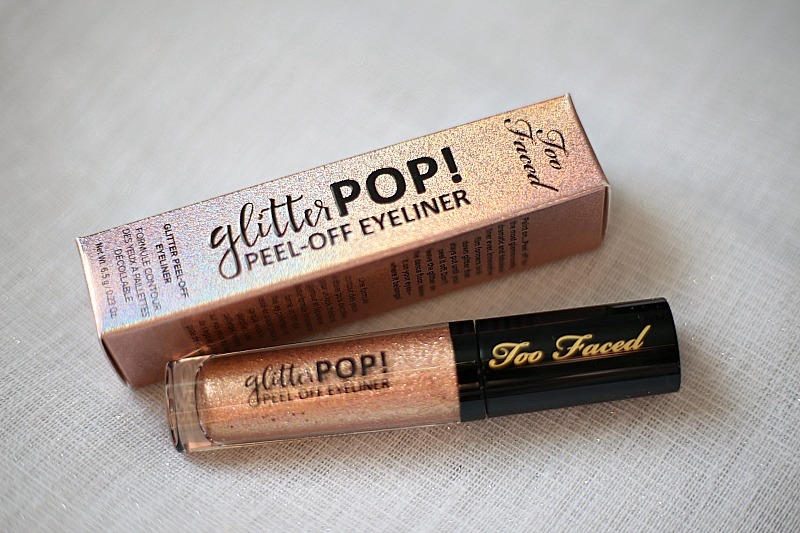 Too Faced Glitter Pop Peel-Off Eyeliner - Color - "Yes Way Rosé" - $20.00 (can be found at Ulta, Sephora, Macy's, and on TooFaced.com) - Now this is new to me. I've never tried glittery eyeliner but I see so much potential with this product. I can only imagine how beautiful it would look stacked above a nice black winged eyeliner, or even placed neatly into a cut crease. I have a feeling that I will be reaching for this product often. The gel is very smooth and a lot of glitter comes out with every swipe. I'm excited about this one. 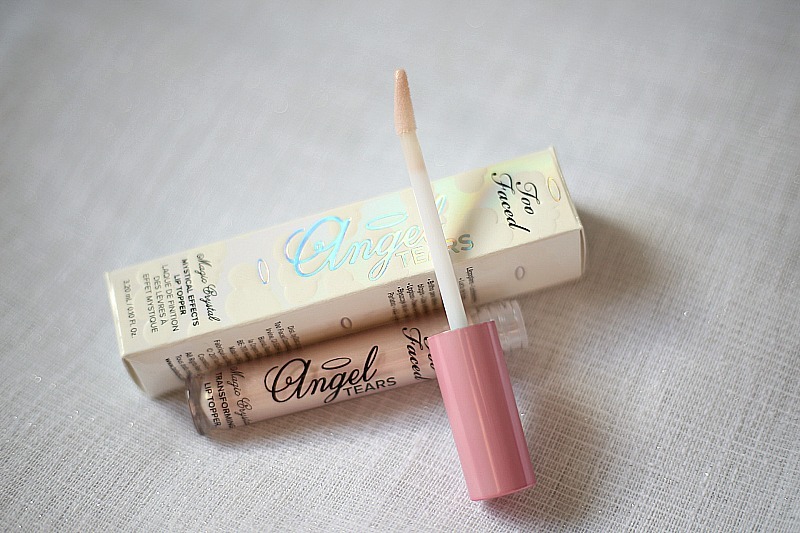 Too Faced Angel Tears Mystical Effects Lip Topper - $19.00 (Can be found at Ulta, Macy's, Sephora, and on Toofaced.com) - Whats a makeup haul without a lip gloss? I had to treat my lips, I always do! This seemed like a color I would wear, despite the fact that I probably have plenty of lipglosses in a similar shade, I love the iridescence in this one. I'll definitely be blogging a review about this in one of the looks I do. I don't seem to care so much about whether or not you can see the iridescence when it's applied over a lipstick or straight to the lips as much as I care about how long it stays put, whether it's sticky or not, and how shiny it appears when applied. 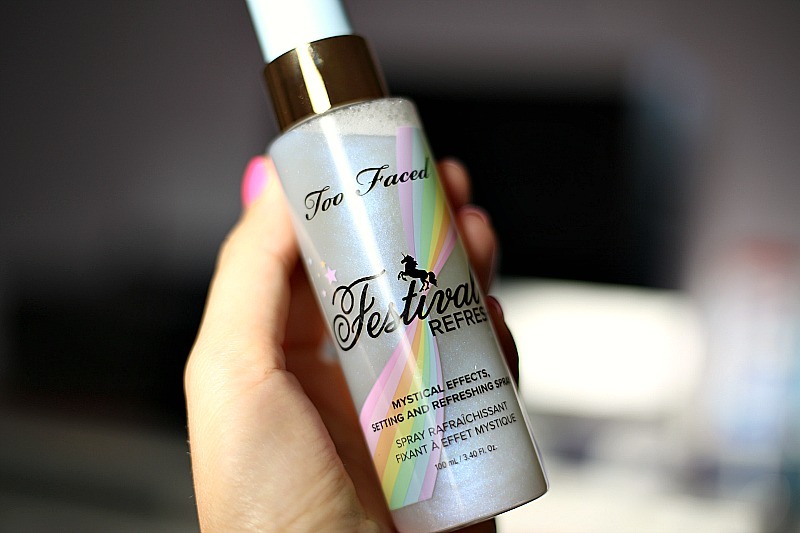 Too Faced Festival Refresh Setting and Refreshing Spray - $24.00 (Can be found at Ulta, Sephora, Macy's, and TooFaced.com) - Setting sprays are new to me. I loved my NYX one, and it did it's job, so I decided to give my setting/refreshing spray a little upgrade. 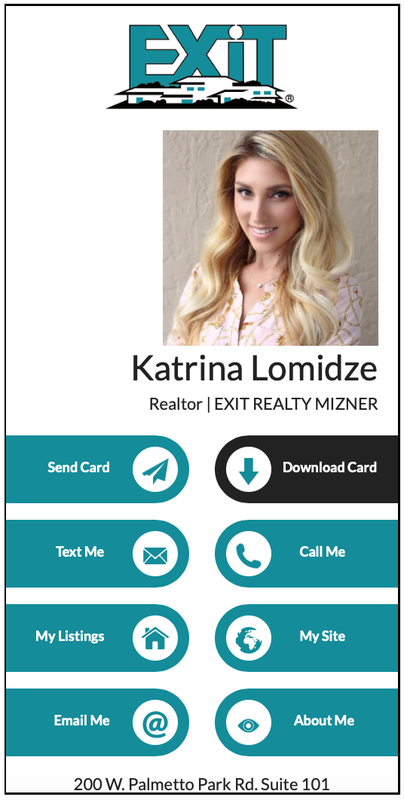 I will definitely be trying this out and coming back for a review. What are some products you've recently hauled and have loved? Have you ever been someplace new, but you had a feeling that you had been to this place before? Perhaps in a dream? I had that feeling at the Chateau Versailles, just outside of Paris, France. This has got to be the most magical place that I have ever been to. Every detail that went into making this place is breathtaking. Every inch of this place interested me and I imagined the royals that lived here, just going about their daily lives.